By continuing to honor such brave men and women, TASER hopes to once again shment officers across the country. 1. The Agency of the Year Award recognizes a department that has gone above and beyond to solve a pressing issue facing their community. 2. The Protect Life Award honors an officer who has acted heroically in the course of saving the life of a fellow officer or a civilian in harm’s way. 3. The Police Leadership Award heralds an officer who best exemplifies the spirit of leadership in law enforcement, taking the initiative to improve the lives of those in his or her department through training, education, and other means. 4. The Community Impact Award honors an officer or department that has helped strengthen relationships within their community, encouraged service, and inspired others to do good. 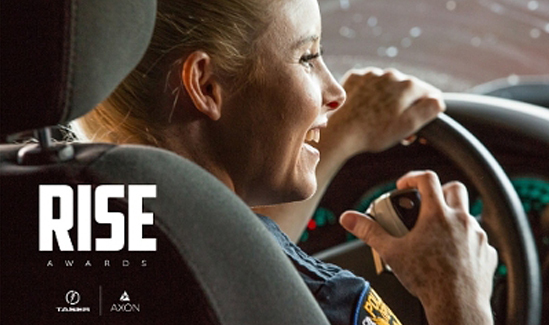 To submit a nomination, visit TASER’s Facebook page and click on the ‘ RISE Awards 2016 ‘ tab to nominate an officer or police department who you feel rises above the rest in one of the four award categories. Nominations from the U.S. and Canada are open June 14 – August 19, 2016 with winners announced on September 1, 2016. Four law enforcement winners will each receive a $5,000 Axon technology grant, a one-year subscription to PoliceOne Academy, and a free trip to this year’s International Association of Chiefs of Police (IACP) annual conference with VIP access to all TASER events in San Diego, CA on October 15-18, 2016.